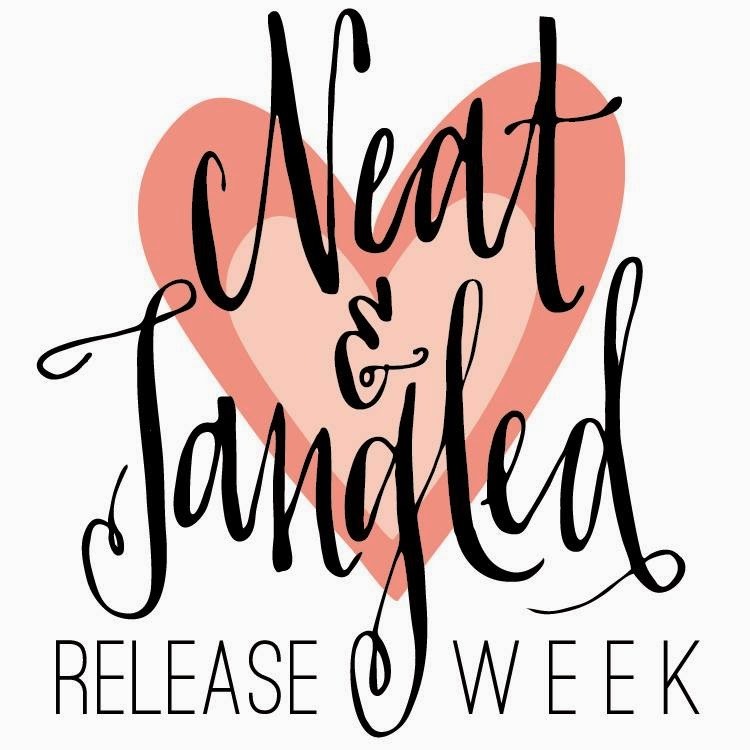 Hello Everyone... today marks the first day of the Neat & Tangled October Release. 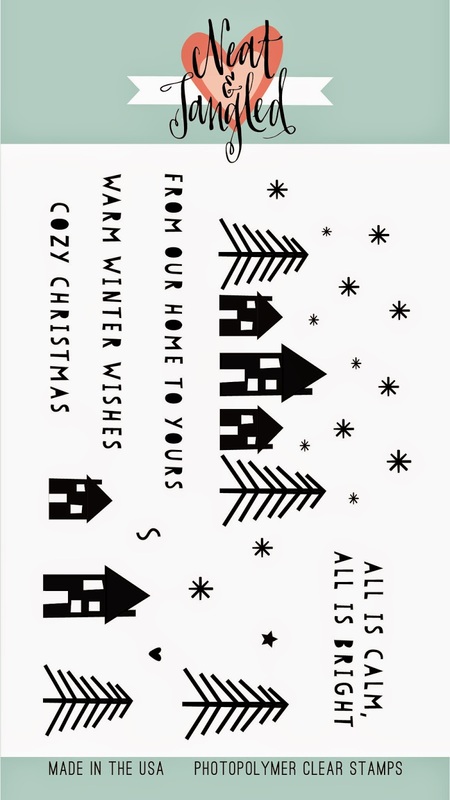 For my project I am showcasing the new upcoming stamp set Winter Wishes. To begin my project I first stamped the houses, trees, and snow images with Versamark ink and embossed it with gold embossing powder. Next, I distress the images with Distress ink in Stormy Sky and Peacock Feather. Then I got another white cardstock panel and cut the middle to create a window for my scene. I then added some dots of glossy accents and clear glitter to create the falling snow look. To finish off the card.... I stamped the sentiment "From Our Home To Yours" on a brown cardstock from Recollections using a Versamark ink and embossing it with white embossing powder to finish off the card. So gorgeous! LOVING the snowflakes!!!!!!! A beautiful card. I love the gold. Love the glittered glossy accents and the shape of the window! Gorgeous! Love the natural look with the organic window cut out! Such a pretty winter scene! I love the asymmetry of this card. very neat. I absolutely love your card and that stamp set just screams for me to buy it!! I'm not sure if you read these comments but I was just wondering what you used to cut the middle window out of your card?? So looking forward to the rest of the Neat and Tangled release! To cut the window, I traced the sides of the stamp on the panel, die-cut a hole in the middle then used it as a guide to cut the entire window. I hope this make sense.